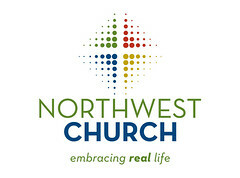 Designer Von Glitschka recently shared his experience doing a branding/identity project for Northwest Church in Shoreline, Wash. He shares the many iterations the design went through as well as some insight into the final product. Don’t forget to check out the video. This is a fabulous glimpse into the creative process. Designers can learn a lot of insider tips and process, and non-designers can get a feel for what really goes into a logo project. You get out what you put into it, and that definitely shows in this case. This was originally shared in the Church Marketing Lab, another reminder that it pays to check out that creative community. Great post! I like the openess in the whole process. We need more insights into the creative process! And also from the ‘clients’ perspective too would be great. What did they think? Churches are just waking up to the need of branding. It is so vitally important to have good branding. Even more important than having nice bathrooms. We all know how important those are. Nice use of Neutra Text, man! Nice post! I can absolutely understand the pitfalls of creating logos and branding for this sector. I have had many rewarding experiences and some that not much so!